I was lucky enough to have these fat quarters gifted to me by a friend. She knows how crazy I am about fabric, which takes the guess work out of giving gifts! 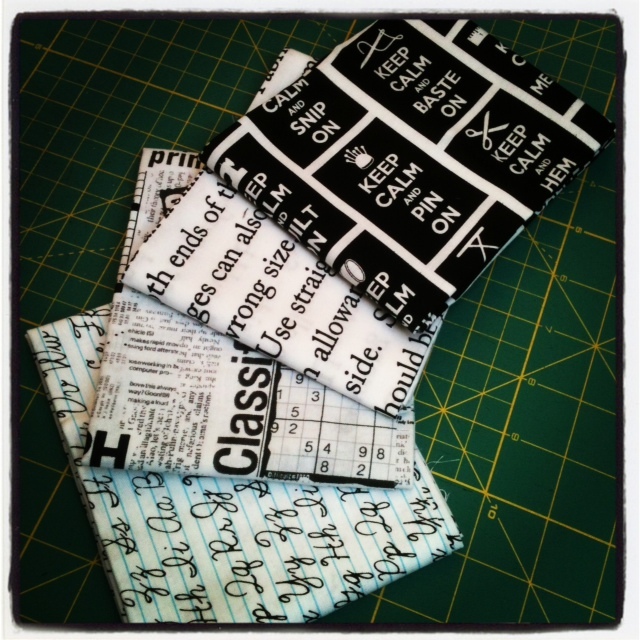 The people at Timeless Treasures really know how to make a great text fabric! The Keep Calm print could be used for so many blocks, left whole for a great quilt back or used to cover a pressing table. These have already been cut into and will be sewn into blocks for the Gossip Quilt soon.